From fasktrack to hotel bookings, the Resort Box Office is your one stop shop to upgrade your visit. It is also the place to head if you have any comments or complaints about your day. 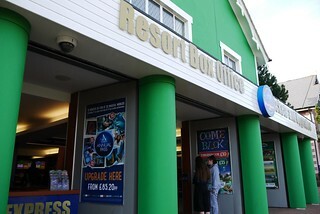 The Resort Box Office, which replaced the former Annual Pass Office and Guest Services, operates in the unit previously used for Yourday and Alton Towers Resort DVD.